ORDINARY citizens, human rights activists and opposition parties yesterday hailed outgoing Zimbabwe Republic Police (ZRP) Commissioner-General Augustine Chihuri’s move to step down, with some describing the decision as “long overdue”. MDC-T spokesperson Obert Gutu said Chihuri had overstayed in his job and lacked ideas to instil discipline and reinvigorate the police force since he took in the early 1990s. “He started off extremely well as Zimbabwe’s top cop back in the early 1990s, but as time went by, Chihuri became a square plug in a round hole,” Gutu said. Gutu warned the incoming Commissioner-General to be an officer of solid and impeccable credentials. “The ZRP is in bad shape, the levels of corruption within the force are shocking and the new top cop should be a no-nonsense individual who will instil a good work ethic,” he said. PDP spokesperson Jacob Mafume said although Chihuri presented a different outlook of an ideal police force, the country needed security sector reforms at institutional level and not individuals. Transform Zimbabwe leader Jacob Ngarivhume said the security sector required overhaul. MDC spokesperson Kurauone Chihwayi said as a party they celebrated Chihuri’s departure. “The outgoing Commissioner-General left a bad legacy after failing to deal with indiscipline in the police force. There was visible corruption; poor work ethic and unprofessional behaviour that made it difficult to believe the details have minimum qualification for the job. Chihuri was a bad example of the police force,” he said, adding the police always trampled on opposition activists’ rights with impunity. Tajamuka/Sesjikile spokesperson Ostalos Siziba said Chihuri represented an oppressive system that violated the rights of activists for a long time. 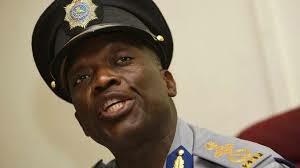 “Chihuri and his police were a symbol of oppression. His exit is like the removal of colonial statues and we have no kind words for that man. That on its own is a lesson for the person coming that you can only fit into the smelly shoes of Chihuri at your own peril,” Siziba said. Yesterday, metal spike-wielding police officers were back on the streets where they engaged in running battles with vendors and commuter omnibuses. Vendors’ representatives said the police seemed to have learnt nothing during the last five weeks when the military was in charge of all policing duties. “We expect an end to police corruption and brutality. Vendors suffered a lot at the hands of the corrupt and insensitive police force which appeared to be getting orders from Chihuri himself. As vendors, we hope that he will be investigated and must be made to account for the violation of people’s rights, mostly vendors,” Vendors Initiative for Social and Economic Transformation leader Samuel Wadzai said. National Vendors’ Union of Zimbabwe leader Sten Zvorwadza said it was a good move on Mnangagwa’s part to retire Chihuri.